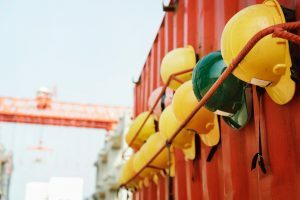 Contractors, subcontractors, and suppliers who work in the New York construction industry often have to deal with the frustration of slow-paying and even non-paying clients. This is why the law allows you to file a mechanic’s lien against the property: if the owner doesn’t pay your bill, you can foreclose on the lien and collect the amount you are owed from the sale proceeds. In New York, this process begins when you file a Claim of Lien in the clerk’s office of the county where the property is located. The claim must contain the nine elements listed below. Leaving any of this information out, or getting any details wrong, can invalidate the lien. 1. Your name and address. If you operate a partnership or corporation, use your business address and list the names of any partners. If your corporation is foreign, provide its principal place of business in New York state. NOTE: This requirement can cause problems for claimants who don’t have a business address in the state and make it difficult to record the lien. 2. The name and address of your attorney, if you have one. If you don’t maintain an office within the state, recent case law has held that for your mechanic’s lien to be valid, it must list a New York attorney in this section. 3. The name of the person or entity that owns the property you intend to lien. If you know what the owner’s interest is, specify it. 4. The name of the party who employed you or to whom you provided services or materials. If you are a contractor or subcontractor, this would be the party with whom you made the contract. 5. The labor or materials you provided and the agreed wage or price. This may include materials manufactured for the project but not delivered. 6. The amount that you were due to receive for the labor or materials (but did not, hence the lien). 7. The dates when you first and last supplied labor or materials for the construction project. 8. Information about the property that you want to file a lien against. The description you provide must be specific enough to identify it. If the property is located in a city, town, or village, this would include the street name and number. 9. Your verification (or that of your agent) that all of the information provided in the Claim of Lien is true. If you have never filed a mechanic’s lien before, it can be easy to make a mistake while filling out the Claim of Lien. To ensure that your filing is correct the first time around, you should seek guidance and advice from experienced New York lien law professionals. At NYLiens LLC, we have helped many contractors and suppliers navigate the complex paperwork requirements, file their liens, and receive the money that they are entitled to. Let us provide you with the same experienced and qualified professional support. For more information, please contact us or call 718-444-LIEN.